3. 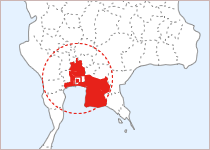 ASAHI INTECC (THAILAND) CO.,LTD. 4. ASIAN STANLEY INTERNATIONAL CO.,LTD. 8. Calsonic Kansei (Thailnd) Co.,Ltd. 14. Clarion Asia (Thailand) Co., Ltd.
22. ELMO Industry (Thailand) Co., Ltd.
27. EXEDY ENGINEERING ASIA Co.,Ltd. 36. Hayakawa Electronics (Thailand) Co.,LTD. 44. KATATA ELECTRIC (Thailand) Co.,LTD. 45. 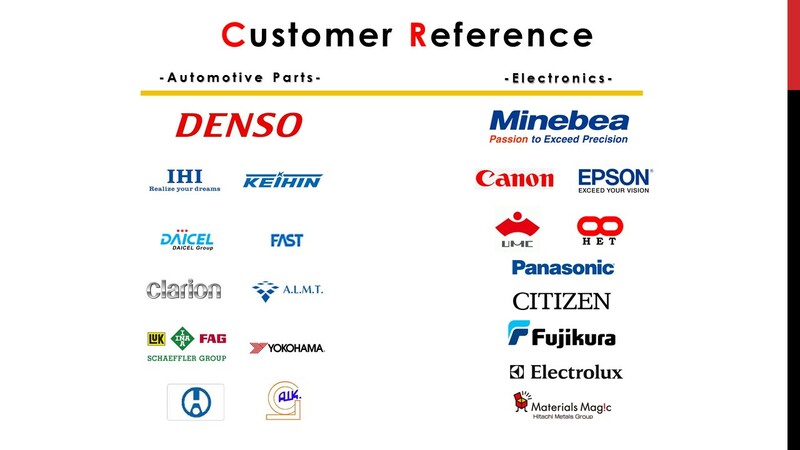 KEIHIN AUTO PASTS (THAILAND) CO.,LTD. 52. LION CORPORATION (THAILAND) LTD.
54. McKey Food Services (Thailand) Co.,Ltd. 74. OKAMOTO RUBBER PRODUCTS CO.,LTD. 89. SUMMIT ELECTRONIC COMPONENTS CO.,LTD. 96. THAI TOYO DENSO CO.,LTD.